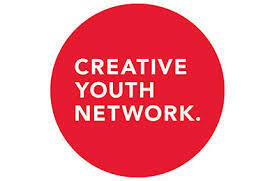 Fiveways worked with Creative Youth Network (CYN) on a year-long project to help the charity ensure the engagement, outcomes and impact of its work with young people is measured correctly by the staff teams. The charity was also keen that the quality of the work should be assessed with the depth and quality of relationship with staff at its heart, and that the right balance was found between impact measurement and bureaucracy. Fiveways helped the charity to embed to process for measuring and recording outcomes in agreed creative courses and open access youth clubs, and then tested whether the outcomes experienced by young people in a session reflected those recorded by the workers in the agreed courses and sessions. The Fiveways team visited the youth clubs and courses in Bristol and Gloucestershire, interviewed 30 young people, ran group discussions, carried out interviews with staff, and interrogated CYNs database. We were able to report back whether outcomes were being collected appropriately, what was being missed, and how effective CYNs tools were. The feedback was all driven by the experiences of young people, and our final report gave CYN some considerations for changes for the future. CYN subsequently asked Fiveways to help the charity with its impact assessment for another year. Fiveways are a pleasure to work with, helped us to understand what we were measuring and why, and have given staff and managers the confidence that our systems are robust and useful but also, where they could be improved and how. Fiveways were great to work with, making young people and staff feel at ease. © 2019 Fiveways NP Ltd. All rights reserved.